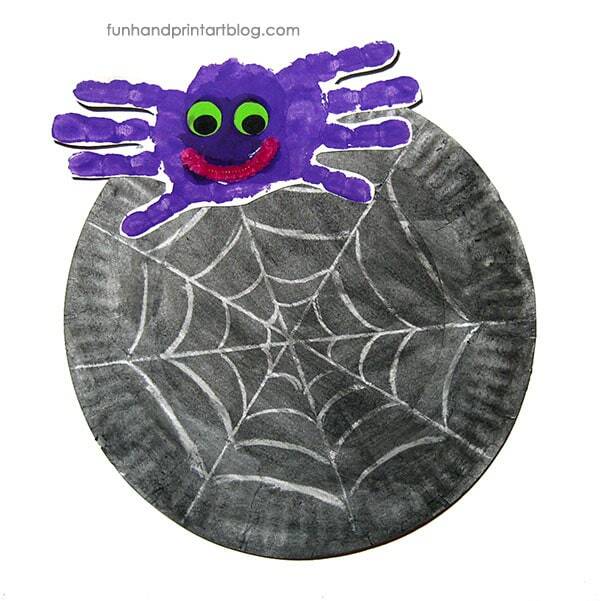 This handprint spider and paper plate watercolor resist web makes a spooky yet cute Halloween decoration. My little guy wanted a purple spider this year. Paint one hand minus the thumb and press down onto paper. 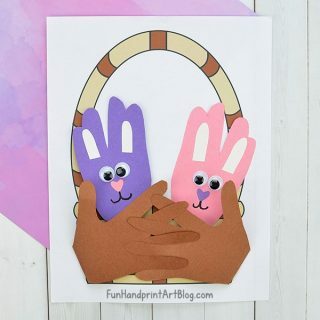 Paint the other hand the same way. Press down overlapping the palm area of the print you already made. 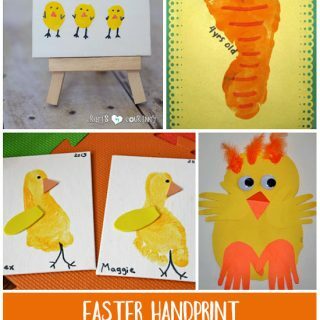 Place googly eyes, draw on eyes, or make thumbprint eyes. We used foam stickers for our eyes. Draw on a mouth or use a pipe cleaner shaped into a smile like we did and glue in place. 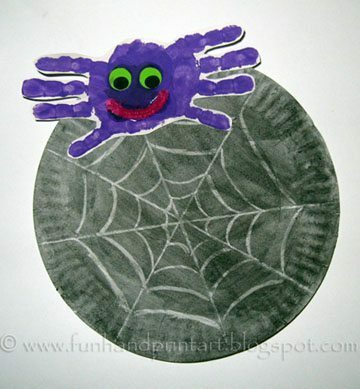 Draw a web onto the plate using a white crayon or colored pencil. When it dries, glue your spider onto the web. I would love for you to link this post to my Halloween Traditions link up! I just love your spider.